Hi, and welcome to the website about Casper Wood, created for family and friends to watch him grow and keep updated with his development. You can read his journal to find out what he has been up to (and how his parents are coping!). 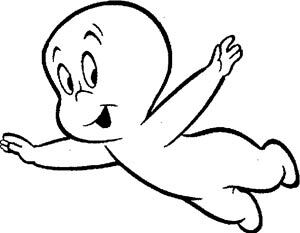 Casper is a friendly Ghost, but you may not be aware that it is also a religious name. There is a Saint Caspar (with an 'a') of which Casper is a derivative, and Caspar is the name given to one of the three wise men. I know you want to know the other names of the wise men, they were Melchior and Balthasar. We actually preferred the name Jasper, but the name was too similar to our other son Jetson. The name Reilly is Clare's maiden name, and is also shared by our other kids of Olive Reilly Wood and Jetson Reilly Wood. Wood means that our surname ancestors lived near the woods, apparently. Casper Van Dien (born 1968), American actor. He is the 6th Casper in his family (his son is the 7th). Starship Troopers (1997), which he starred in, was filmed in Casper, Wyoming. Supermodel Claudia Schiffer and husband Matthew Vaughn called their son Caspar Matthew. Casper is the second-largest city in Wyoming, located in east-central Wyoming at the foot of Casper Mountain.